I'm approaching 30 weeks and I am so happy about that. As selfish as it sounds, and if I'm being honest, I look forward to having this baby so that I can get my body back. I'm anxious to have her too and move on to that part of my life. I know life with be a big jugggling act once she's here, but I have a wonderful partner who will help me with it all. As the pregnancy's progresses I've developed the usual discomforts I experienced with Hudson such as sciatica, acid reflex, sleepless nights, but with her I feel less mobile. I can't bend over as easily, as with Hudson I could bend over and paint my toenails up to the very end. She's either bigger on in a less convenient position. Heath wise everything is good: no high blood pressure, no swelling, no gestational diabetes. I am slightly anemic, and I am taking iron vitamins for that (I was with Hudson too). My energy level is in the dumps though, and I haven't gone to the gym in about a month. I know, such a disappointment, but with any extra time I get, I'm napping. I'm not sure how much weight I've gained. I decided to not stress over it because I know I'll get my body back in the end. That doesn't mean I'm purposefully eating poorly. I am weighed at my doctors appointments but even then, I don't take that weight too seriously because I'm always fully dressed and my appointments are always late afternoon, so it's higher than what I am in reality. I do feel huge and much bigger than I ever did with Hudson which frightens me a little. I know I'll get even bigger since I have two months left.Yikes! Jayde is moving around a lot these days and I love it. It's as if I can see her little hand or foot stick straight out. I'll try to grab it, but I obviously can't. I have an appointment on Wednesday and I hope to find out she is head-down. I have one more week of work and then three weeks off. I look forward to that time to get things organized, spend some time in the gym, and rest as much as I can. School starts back up January 12th, and I plan on working until February 20th (I'm due the 24th), unless she decided to come early like Hudson. It also depends on if my doctor puts me on maternity leave early. For money purposes, I need her to stay in as long as possible. 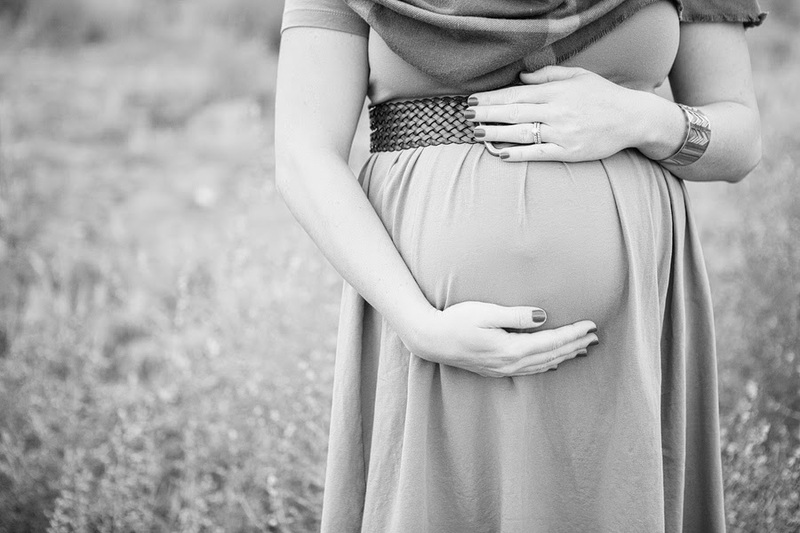 Here are some pictures from the maternity photoshoot I did with my sister-in-law Nickell. Check her work out here.